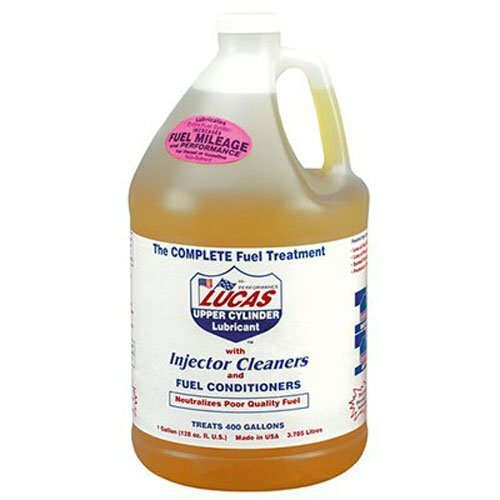 Lucas Engine Oil Stop Leak is an all new formulation of Lucas additives and very specific base stocks designed to stop seal leaks in engines. 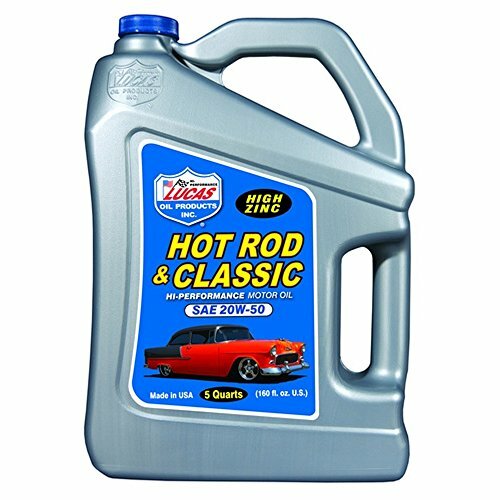 Lucas Hot Rod & Classic Car Motor Oil SAE 20W-50 is manufactured with the highest quality paraffinic base oils and is fortified with a unique additive package containing high levels of zinc, molybdenum and phosphorus, which provides a tougher, thicker additive film for maximum protection even under the most severe conditions. It lowers oil temperatures, extends oil life and minimizes metal fatigue. It improves the film strength between the cylinder wall and piston rings and slows oil burning and improves pressure in worn engines. It has good cold temperature properties and stands up to high operating temperatures. It is compatible with methanol and all racing fuels, as well as with synthetic and non-synthetic oils. 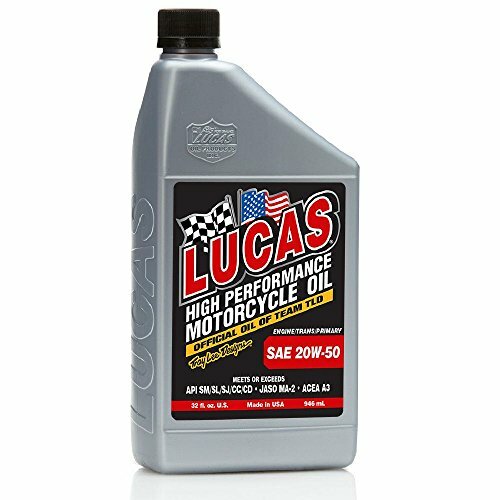 Lucas Hot Rod & Classic Car Motor Oil SAE 20W-50 is for muscle, showroom, classic and trophy cars without catalytic converters. It can be used in racing applications. Not recommended for passenger car use. 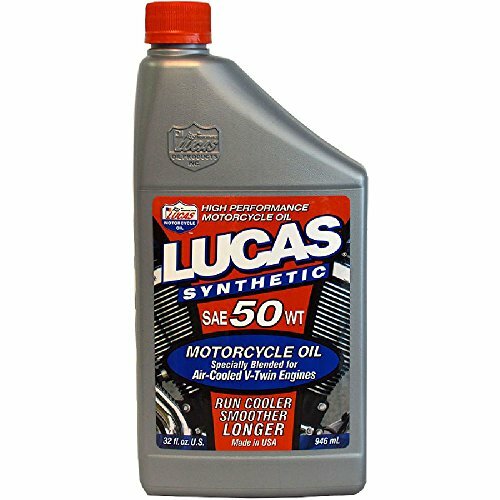 API SL Certified, Lucas Synthetic SAE 50W MC Oil is specially formulated with the finest base oils and exclusive Lucas high performance additives for all 4-stroke air cooled V-Twin/Opposed Twin/Slant Twin engines made after 1984. Lucas Oil has put all of its race bred technology into this oil to help your engine run cooler, smoother and longer. Road testing indicates significant reduction in operating temperature. Numerous testimonials support product performance. 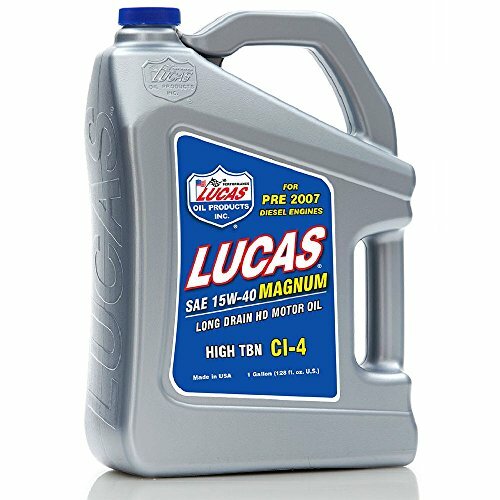 Lucas 15W-40 Magnum High TBN CI-4 Oil is a blend of high quality base oils and an additive package that allows extended drain intervals and a much higher degree of protection from metal to metal contact. The exclusive additive package in Lucas 15W-40 insures a protective film on parts at all times. Also, the additive package is more resistant to break down from the solvents in diesel fuel than common additive packages found in regular 15W-40 blends. Motor oil is usually changed because it's contaminated with combustion by-products, not because it's worn out. The high detergent action of Lucas 15W-40 allows up to twice as much contamination to be held in suspension and still have good lubrication qualities. Lucas Hot Rod and Classic Car Motor Oil SAE 10W-30 is manufactured with the highest quality paraffinic base oils and is fortified with a unique additive package containing high levels of zinc, molybdenum and phosphorus, which provides a tougher, thicker additive film for maximum protection even under the most severe conditions. It improves the film strength between the cylinder wall and piston rings and slows oil burning and improves pressure in worn engines. It has good cold temperature properties and stands up to high operating temperatures. It is compatible with methanol and all racing fuels, as well as with synthetic and non-synthetic oils. 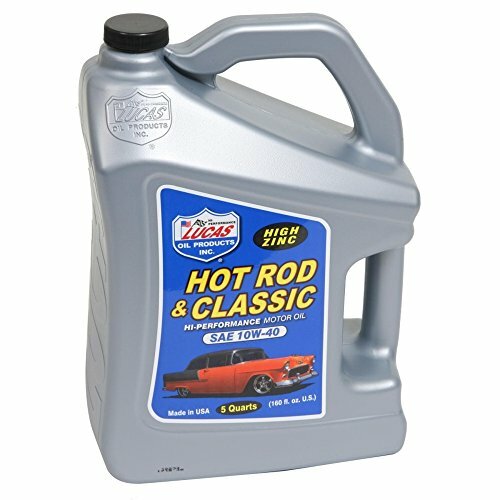 Lucas Hot Rod and Classic Car Motor Oil SAW 10W-30 is for muscle, showroom, classic and trophy cars without catalytic converters. It can be used in racing applications. Not recommended for passenger car use. Lucas Hot Rod & Classic Car Motor Oil SAE 10W-40 is manufactured with the highest quality paraffinic base oils and is fortified with a unique additive package containing high levels of zinc, molybdenum and phosphorus, which provides a tougher, thicker additive film for maximum protection even under the most severe conditions. It lowers oil temperatures, extends oil life and minimizes metal fatigue. It improves the film strength between the cylinder wall and piston rings and slows oil burning and improves pressure in worn engines. It has good cold temperature properties and stands up to high operating temperatures. It is compatible with methanol and all racing fuels, as well as with synthetic and non-synthetic oils. 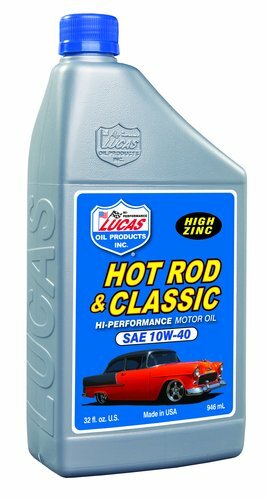 Lucas Hot Rod & Classic Car Motor Oil SAE 10W-40 is for muscle, showroom, classic and trophy cars without catalytic converters. It can be used in racing applications. Not recommended for passenger car use. 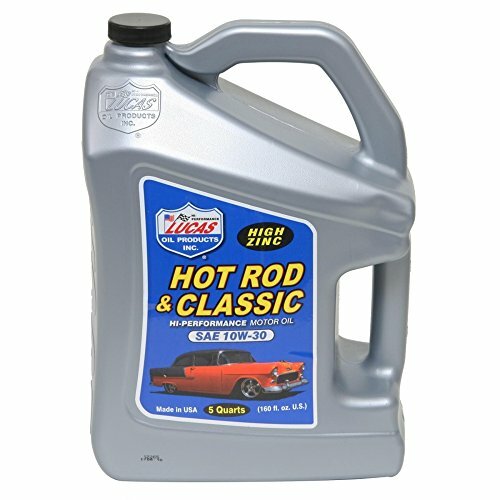 Lucas Oil Hot Rod and Classic Car Motor Oil's formulation is perfect for the Hot Rod and Classic Car crowd with an increased zinc value of 2100 PPM. Because many of these very special machines often spend long periods (winter for example in some parts of the country) off the roads, a number of the components of the additive package used in Lucas' Marine oils to provide rust and corrosion protection have been included in its unique formula. Copyright © Wholesalion.com 2019 - The Best Prices On Lucas Motor Oil Online.